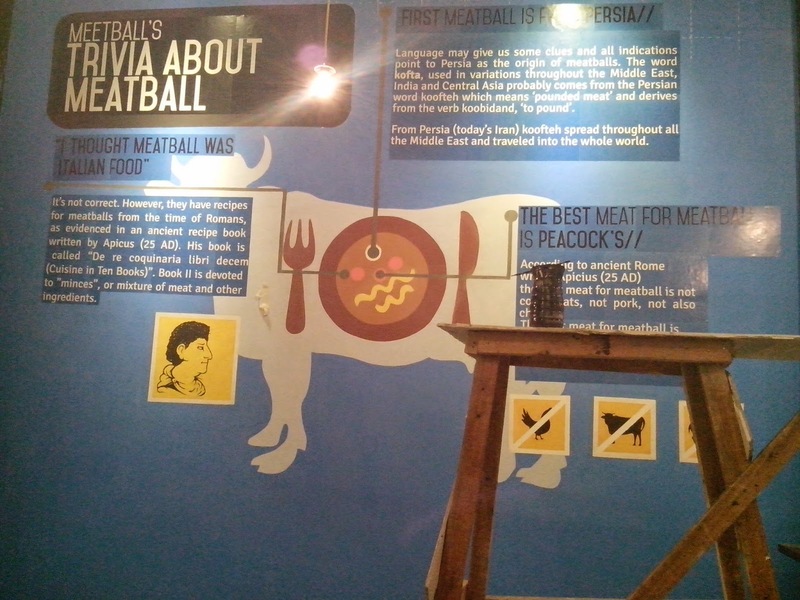 Do you want to know the history of meatball? 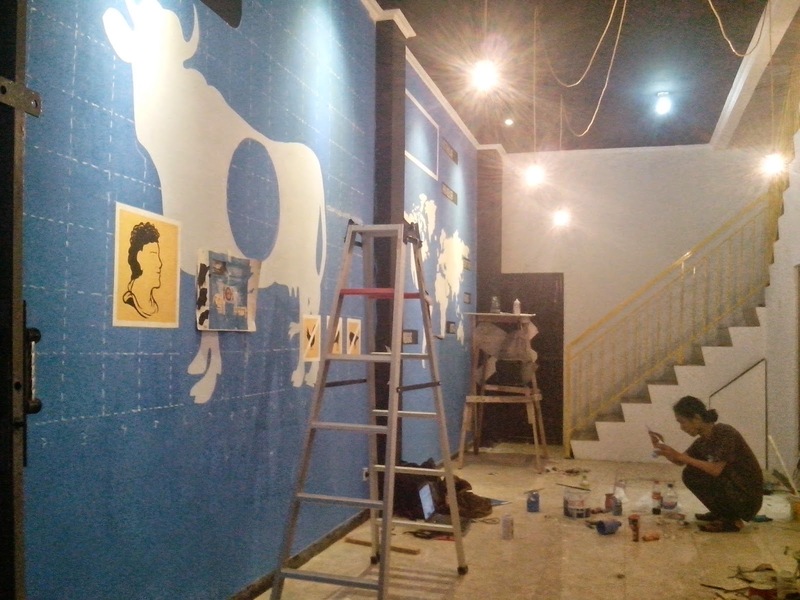 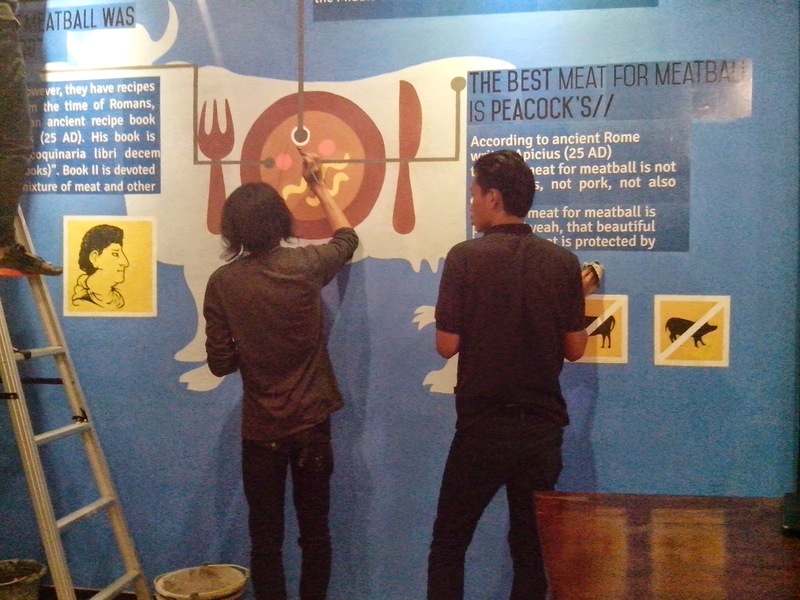 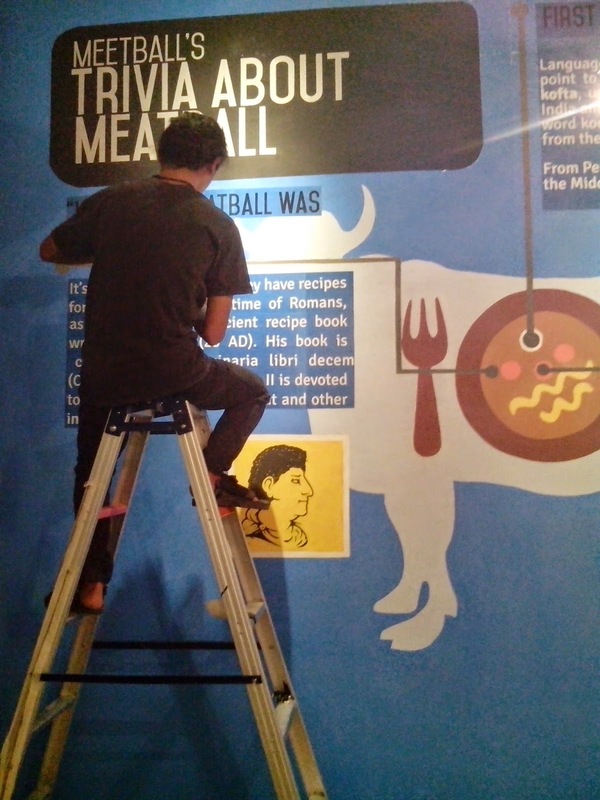 Then you should visit this artwork by Jogja Painting in Meet Ball Cafe. 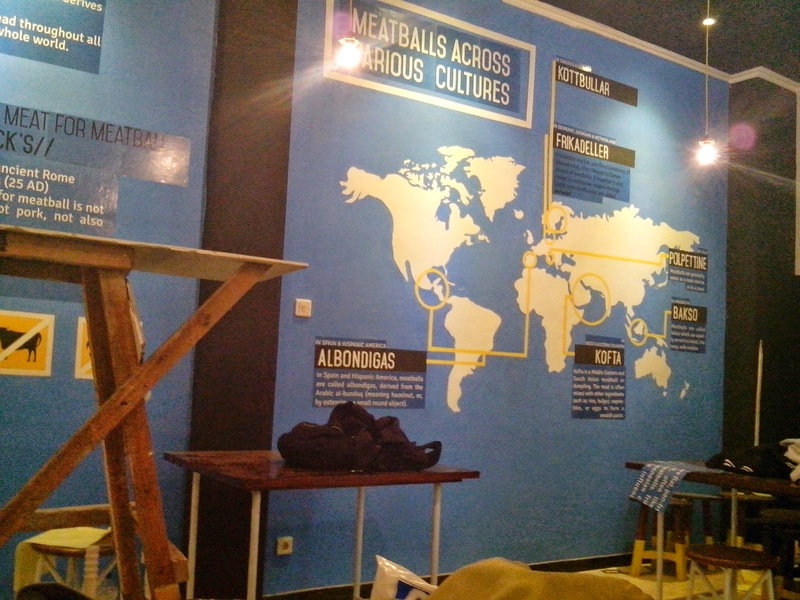 You can read the history of meatball from around the world. 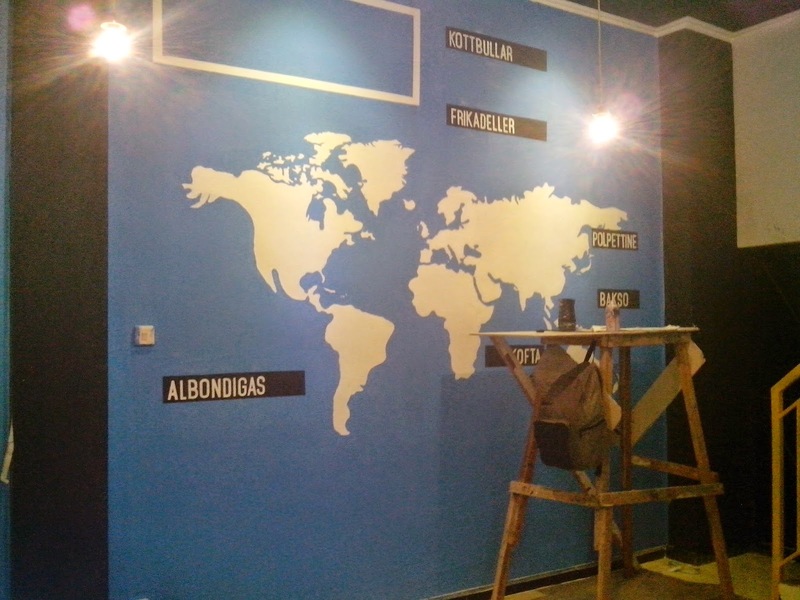 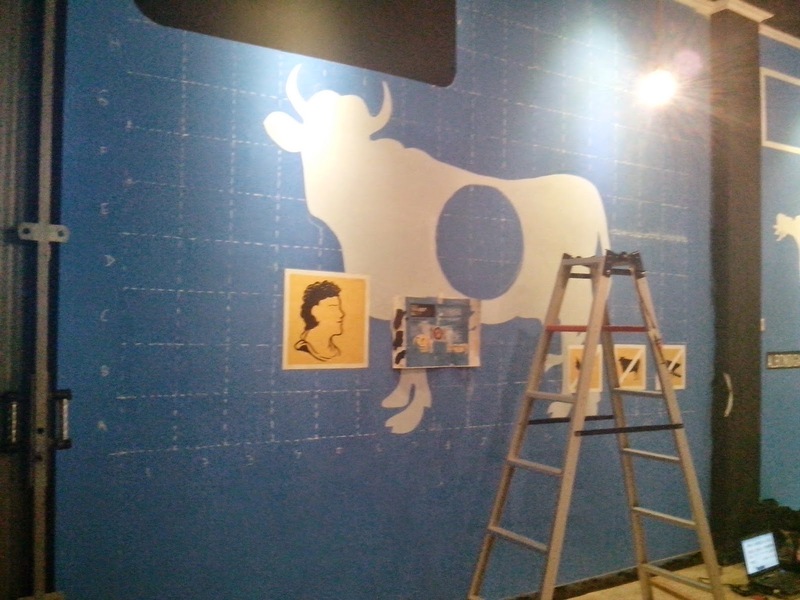 This Mural project was using stencil technique because the painting has lots of letters.